Can anyone recommend a supplier of good quietly centre hub stickers for my 1975 2002 please. Yep tried and don’t have in stock. I bought mine at 2002ad.com for $5 a piece. 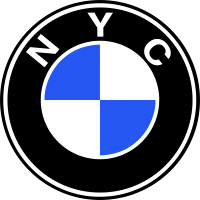 You're looking for the 45mm plaque for the steel wheel center cap - BMW part # 36131181082. Check https://www.linwar.com/ or https://www.jaymic.com/ given your location. RThe OEM ones you buy at any BMW dealer are good quality. Are we saying that they are NLA, or temporarily out of stock everywhere? That doesn’t sound possible. Non-dealer (eBay, for example) ones are rarely a bargain as longevity usually suffers - same for the bonnet & boot emblems. i just bought a set for a project and they’re pretty decent!